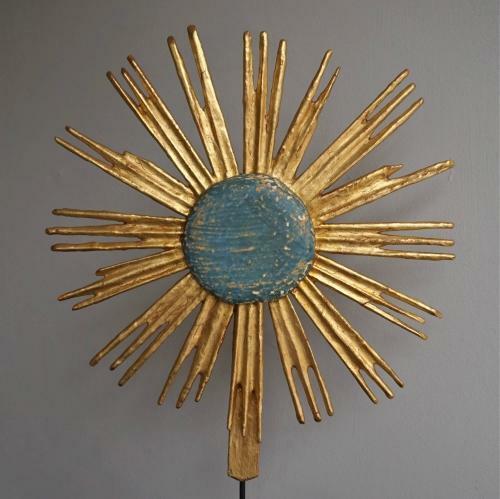 A stunning decorative artefact, this 18th century hand carved wooden sunburst has traces of its original blue paint to the centre and retains its original gilding. Beautifully mounted on a black metal stand. Italian circa 1750 - 1800.